Michael Sloan, co-creator of the classic 1980s TV series--the basis for the feature films starring Denzel Washington--reinvents the story of the mysterious, former covert intelligence officer who helps desperate people who are in need of his unique and deadly skills. Robert McCall is a former covert operations officer for the CIA who tries to atone for past sins by offering, free of charge, his services as a troubleshooter (often literally), a protector, and an investigator. People in need find him through a newspaper ad and on the internet: "Got a problem? Odds against you? 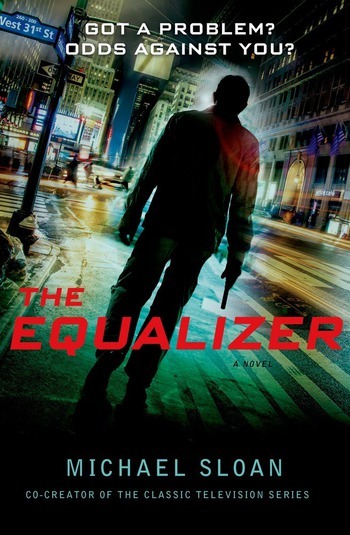 Call the Equalizer." “Compelling.” —NJ.com's "What Fran's Reading"
MICHAEL SLOAN has been a show runner on such TV series as Alfred Hitchcock Presents, Kung Fu: The Legend Continues and Outer Limits. He has also written and produced numerous TV Movies and features. He co-created the series The Equalizer for Universal TV and CBS and is one of the producers on a feature version of The Equalizer for Sony Pictures starring Denzel Washington in the title role of Robert McCall. Michael is married to actress Melissa Anderson and they have two children, Piper and Griffin.